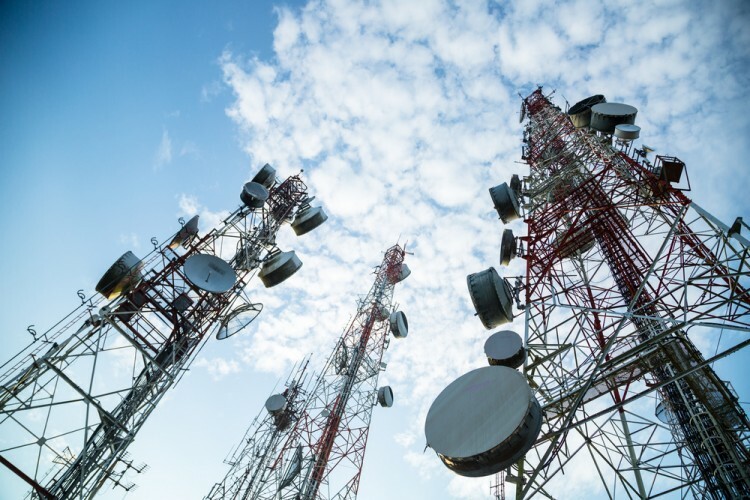 Liberty Latin America (“Liberty LatAm”) made progress on a number of operational fronts in 2018, which advanced its goal of becoming the leading cable and mobile telecom provider in Latin America and the Caribbean. Liberty LatAm’s biggest and most profitable market remains Chile, where – operating under the VTR brand – it has the largest high-speed internet and cable television business in the country. VTR’s broadband speeds are twice as fast as that of its closest rival, and more and more consumers are upgrading to the leading high-speed offering. This competitive advantage also helps the business cross-sell by bundling its cable television, fixed-line telephony, and mobile phone offerings. In 2018, VTR’s revenues and operating profits expanded by 10% with margins around 40%. Already passing more than 3.5 million homes and with more investment in process, VTR is poised to increase further its penetration in the country and expand its already attractive profit margins. One of the company’s biggest concerns heading into 2018 was the recovery of its Puerto Rico operation following the damage done by Hurricane Maria in September 2017. The team did yeoman’s work to fully restore operations by the end of the third quarter in 2018. While all customers are now online and billable, Maria did have a more-lasting negative impact on the size of the market. As of its last disclosure, Liberty LatAm had 699,000 revenue generating units4(RGUs) on the island versus 804,000 before the hurricane in mid-2017. Because the island’s population has declined, Liberty LatAm may not return all the way to the 800,000+ RGUs immediately, but we expect the business to continue to gain share from the incumbent telephone operator’s considerably slower DSL offering. In fact, estimated 2018 operating earnings of $150M+ would exceed 2017’s total of $133M. More encouragingly, the greater than $50M in operating earnings we expect from Puerto Rico in the fourth quarter of 2018 implies a run-rate for 2019 operating earnings in excess of $200M. This steady upward trend is a nice recovery for a business that was decimated heading into 2018. Liberty LatAm’s Cable & Wireless (C&W) division encompasses much of its business in Central America and the Caribbean. In its Chile and Puerto Rico markets, Liberty LatAm primarily offers services over its hybrid fiber/coaxial cable network, with an emphasis on high-speed broadband internet service. In this type of market, an operator whose network is the only one to pass a home can typically make an outsized return on capital. If a competitor passes the same home, prices and returns on capital typically fall. As a result, the first mover usually enjoys excellent economics permanently, as a competitor is loath to enter an already-covered market. Such is not the case in the wireless business where switching costs are low, and antennas are commonly co-located on towers owned by third parties. In markets with two or even three mobile operators, results can be satisfactory, but in markets with four operators, price competition and customer churn typically erode profits. In November, we visited C&W’s operations in Panama, which is primarily a mobile phone market for Liberty LatAm, to better understand the dynamics at play in a market with four operators. We found what we expected: the four operators were competing away profits as they aggressively pushed to steal customers from one another. Fortunately, the government recently passed legislation that will allow consolidation. Regardless of whether it plays a part in the consolidation, Liberty LatAm will likely benefit as the market loses a competitor or two in 2019. We also visited Costa Rica on the same trip to check on Liberty LatAm’s recent acquisition of Cabletica, the leading cable company in the country. As opposed to most of its markets, Liberty LatAm and a competitor pass many of the same homes in Costa Rica due to the relative youth of the cable industry in the country, regulators’ historical aversion to mergers, and a high concentration of the country’s affluent customers in the urban capital of San Jose. Over time, we expect Liberty LatAm to bring cable to unserved homes elsewhere in the country and drive consolidation in the industry. Both of these efforts should improve scale, reduce competitive pressures, and increase returns on capital. In the Caribbean, Liberty LatAm competes most often with Digicel. Thanks to an over-leveraged balance sheet, Digicel is in financial distress. The company is slashing capital expenditures to meet debt payments and is also selling assets to raise cash. Underscoring the precariousness of the company’s financial condition, Digicel bonds due in 2020 and 2022 yield approximately 35% as the market lacks confidence that the company will be able to borrow new money to repay these bonds’ principal when they come due. We expect Digicel’s financial duress to be a tailwind for Liberty LatAm in these markets as Digicel is unable to compete on price and is underinvesting in its network. Recently, Millicom and Liberty LatAm confirmed that they engaged in discussions about a possible merger. Millicom provides telecommunications principally in Central America with substantial wireless assets. Mauricio Ramos, its CEO, previously worked for Liberty Global and serves on the John Malone-influenced Charter Communications’ board alongside Liberty LatAm’s CEO, Balan Nair. Both companies have an enterprise value of about $10 billion and could almost certainly shed costs following a combination. The two companies walked away from the discussions without an agreement; we suspect price was the likely stumbling block. Liberty Latin America is a renowned telecommunications company which completed its separation from Liberty Global Plc (LBTYA), in January last year. This $3.76 billion market cap company provides its professional services across the Caribbean, Chile, Puerto Rico, and other parts of Latin America. Since the beginning of the year, Liberty Latin America’s stock gained 38%, having a closing price on April 12th, of $20.87.